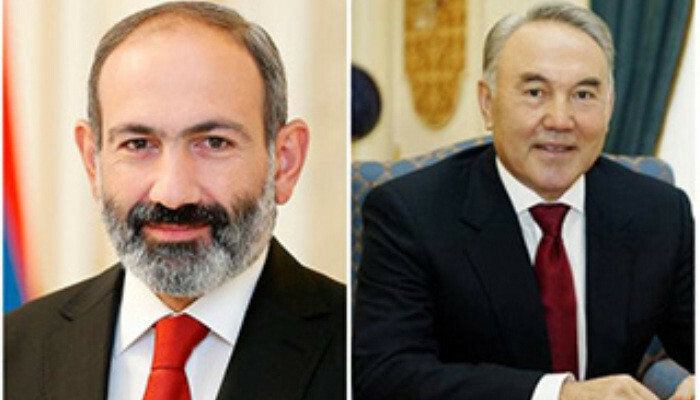 Prime Minister Nikol Pashinyan had a telephone conversation with President Nursultan Nazarbayev of the Republic of Kazakhstan, who announced a few hours ago that he would no longer remain in office as President of Kazakhstan, and will only hold the post the Head of Security Council and the ruling Nur Otan party. Nikol Pashinyan highlighted Nazarbayev’s undeniable role in bringing progress and prosperity to Kazakhstan and his valuable contribution to the integration process in the Eurasian region. The Armenian Prime Minister highly appreciated the friendly relations between the two countries and his personal relations with President Nazarbayev. He wished Mr. Nazarbayev every success in his future activities. An agreement was reached to meet in Astana on the margins of the jubilee summit of the Eurasian Economic Union on May 29.